And a big thank you to every who contributed and joined us on our CHAKRA JOURNEY. The studio glowed with your beautiful energies and the effects have lingered through the week 🙂 If you missed out there are plenty of crystals available in the shop…why not make your own Healing Crystal Chakra Set? Plus some great Chakra Books & Oracle Decks. The Studio is closed Thursday night (no 6pm TLC) – yes – there is a 9.30am and 12.00pm class on Thursday morning. This monthly group is open to anyone interested in energy healing and no experience is necessary. This month I will be introducing you to the amazing Auralite 23 Crystal. 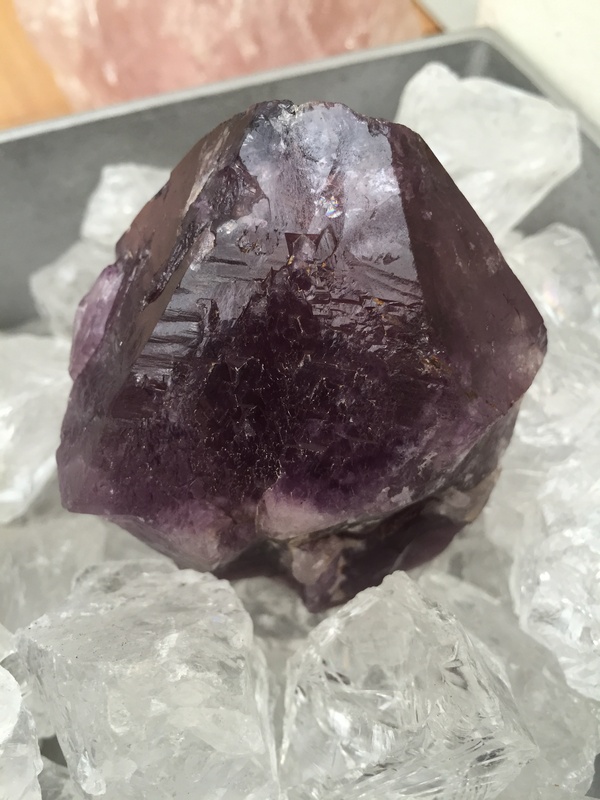 This beautiful stone is the deepest amethyst and so much more! Described as the “One Stone to Rule them All” – it will be the perfect stone to help you tune in and expand your awareness. Sourced from Canada from the ‘Cave of Wonders’ this crystal is about 1.2 billion years old, so calming and said to act as a bridge between the worlds. This is a photo of my Isis one – with loads of triangular etchings. These naturally formed etchings are records which means within them are records of past, present and potential future realities. I love my set of Runes and thought it about time that we re-visited the Rune Workshop especially as the Runes are ‘the Whispered Secrets of the Universe’ and yes – the inspiration for the studio name: Whispered Secrets. They are an ancient form of writing from the Norse culture and are steeped in nature as the people of Northern Europe led lives dominated by the elemental forces of wind, sun, ice and rain. This will be a very interactive workshop as you will be painting the glyphs onto your stones, learning how to cast the runes, then will be giving and receiving readings. Thirty stones are required to make up your kit. You may choose to select flat stones or pebbles from the beach, maybe a branch sawn into rondelles, stones from the local garden centre, or crystals. My set in the drawstring pouch are mangano calcite. If you would like me source certain crystals for you – let me know. And we now have drawstring pouches available in the shop. Yoga is about you – ‘You-ga’ and finding the connection to your own essence through the magic of your body and breath. The ancient practice of yoga has been around for thousands of years. The Rishi’s (Sages) who formulated its system were guided by the science of the body: the physical, the subtle layers, the mental, emotional and spiritual aspects of ourselves. Today modern science can prove much of what the Rishis knew – that our body is really an amazing record keeper of our lives; retaining memories, karma, mental and emotional knots deep into its layers. 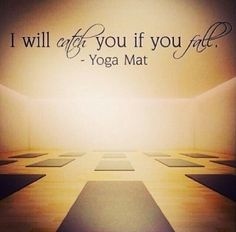 Your yoga mat is your invitation to stop and become aware of you, the messages and wisdom layered through the body to connect with the pure cosmic energy flowing through. Our doorway in – is the breath. Breath is life- prana/energy/life force. The practice of pranayama (breathing exercises) is said to be the art and science of discovering the Soul. It’s like opening all the windows of your house to let fresh air in – clearing out stale, stagnant energy. The sole intention of the practice is to bring the body and mind to a place of stillness. Whether your yoga journey is strong and dynamic, or slow and steady, the destination is the same – Samadi – bliss beyond all that is – oneness and wholeness. There is no rush – enjoy the journey. Find the teacher and method that you resonate with and start a journey of transformation.